Referral form for Supervised Contact Only. "I hated the idea of it but it's done wonders for me and my son. My ex partner and I can focus on the needs of my our son. Thank you for all you have done." (Contact Centre Parent). Please"I hated the idea of it but it's done wonders for me and my son. My ex partner and I can focus on the needs of my our son. Thank you for all you have done." (Contact Centre Parent). This needs to be done by the parent wanting the contact, often referred to as the non-resident parent. The first step is for the parent seeking contact to complete the referral form on line at www.nacccselfreferrals.org.uk. This is the website of the National Association of Child Contact Centres (NACCC) who deal with referrals are made to the Centre on our behalf. There is more information about referrals and how to complete the form on the NACCC website. Just let us know if we can help you with this in any way. Note that neither parents’ contact details will not be seen by the other, unless they agree. Each parent is then contacted by the NACCC to complete the referral process. Once we have the referral, we will make contact with both parents to start contact. There is a £20 registration fee for the parent seeking contact on completion of this form. ​To make a referral please contact Pippa O'Connell on cheltenhamcontact@familyspace.org.uk or 01242 580812 to ask for the relevant referral forms. These will then be emailed to both parents. Completion of these forms and pre visits must be completed by both parents before contact can begin. A risk assessment will be carried out once the referrals forms have been received and you will be contacted to arrange pre visits. Alternatively please download these from this page on the website. Contact Supervisors will be in the room with you, observing these sessions. These will be recorded on either a laptop or hand written. Unless ordered by court, there will be a review conducted after 4 sessions to assess if supervised contact is still needed, the contact centre may recommend moving onto supported contact. Families cannot pay to have more supervised contact then needed because the times of supported contact are not suitable. Each family contributes £50 towards the cost of arranging the contact. This is for both supported and supervised contact and is separate from the £20 online application fee for the NACCC. 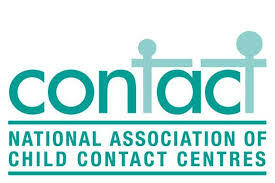 If Supported contact is declined by the NACCC the £50 admin fee to the contact centre will still apply. ​Supported Contact: There is no further charge for supported contact. ​Supervised Contact where a report is needed: is charged at £45 for the first hour and £35 for any subsequent hours taken on the same day. This needs paying before the contact session can take place. Escorted Contact with report: charged at the same rate as Supervised contact. Escorted Contact, no report is charged at the same rate as supervised contact with no report. Card and cash payments are accepted. Once contact moves from supervised contact to supported contact there is no further charge to pay. Please note that we need 24 hours notice to cancel a contact session or the first hour of contact is to be paid by the person who normally pays the contact fee. ​If contact only requires a handover service between parents outside of the time between 1.00 and 3.00 then these are charged at £5 a session. What we do: Supported Contact. The Cheltenham Child Contact Centre is a safe, neutral place where a child can enjoy uninterrupted contact with the parent seeking contact. The Centre opens for supported contact every Saturday afternoon, 1-3 pm. Parents are usually offered 10-12 sessions at the Centre. These are often weekly or fortnightly and therefore cover a period of 4 to 5 months. Parents do not need to meet. The Centre can be involved in hand overs between parents at the centre between 1.00 and 3.00 on a Saturday. Other times are charged at £5.00 per handover. Where parents don’t want to meet, a member of staff takes the child from one parent to the other. The Cheltenham Centre is a breathing space but it also offers all parents a stepping stone to sort out contact arrangements away from the centre. The Centre is run by trained staff and volunteers who are impartial and do not get involved in disputes between parents. They work to a confidentiality policy and are DBS (Disclosure and Barring Service) checked. During supported contact only, the Centre keeps a note of the dates and times families attend and no other notes of a family’s use of the centre are kept. If there is a safeguarding concern then this is actioned through the appropriate authorities. The Centre has two large rooms with a variety of games, toys, books, craft activities for children of all ages. Drinks are available but the centre does not provide food. Supervised contact takes place in one room but during supported contact the whole building is available to be used. There is ample car parking at the Centre and it is also on a bus route. Additional information for Supervised and Supported Contact. · Parents need to pre-visit the Centre before any contact takes place. · Parents do not need to meet. We ask the parent coming for contact to be at the Centre 15 minutes before the beginning of the session. The parent bringing the child needs to arrive promptly for the start of the session. On handovers we can also work to ensure parents do not meet. · The safety and well-being of each child using the Centre is the responsibility of the parent. A parent must always be in attendance. The parent bringing the child stays at the Centre until the other parent arrives, although parents do not need to meet. · A child can only be taken out of the Centre if that has been stated on the referral form and/or agreed by both parents and Centre staff. · Contact is primarily for the child and the parent having contact. This can be complicated by other persons being present. · Other relatives can only take part in the contact if named on the referral forms and agreed by both parents. We very rarely allow other relatives during supervised contact. Please discuss this with staff at pre visit. · Where parents choose to meet, it is vital that there are no arguments in front of the children. · No-one under the influence of or carrying alcohol/drugs will be admitted. Abusive, aggressive or offensive behaviour or remarks will not be tolerated. · ​Photos taken by the parent at the centre must not be included anyone other than their own child or children. Photos must be taken in discussion with the team leader and discussed at the pre visit and are unlikely to be allowed during supervised contact. · Anyone displaying violence, bad language, intimidation or aggression inside or directly outside on the contact centre will automatically lose their place at the centre. · Aggressive and intimidating conduct towards staff will not be tolerated and may lead to a place being withdrawn. Resolve helps parents to work out future arrangements for when they move on from the Centre. In face-to-face sessions with a trained coach, Resolve helps parents develop a plan for their shared parenting. This often involves 6 sessions of 40-60 minutes which can be weekly, every other week or less frequently. There is a £5-£10 charge per person for these session. What do parents say after using the Contact Centre? On that first day as my son was brought in to see me he simply came towards me and cried, Daddy, hugging me and clinging to me as he'd always done. For me time stopped there." Dad's experience of using the Contact Centre. I really do appreciate all your hard work and time and effort in helping me being able to spend time with son. Seeing him for those 2 hours is the highlight of my week. I’m so grateful for the work of the centre. I now have a relationship with him in a way I never thought would be possible”. Dad after using the Contact Centre. The staff and Trustees at the Cheltenham Contact Centre want to say thank you to the team of solicitors, magistrate and community members who sit on our Contact Centre advisory group. Thank you also to all those who support the work of the centre by fundraising and donating to the ongoing work of the centre in Cheltenham.